Review: Chicago Symphony Orchestra conducted by Riccardo Muti, at Orchestra Hall; repeats through Sept. 25. Once past their obligatory populist season opener at Millennium Park on Thursday night – a combined-orchestra affair launching the centenary season of the Civic Orchestra of Chicago – Riccardo Muti and the Chicago Symphony Orchestra took up more serious musical business for the first subscription concert of 2018-19 on Sept. 21 at Orchestra Hall. The program held an early symphony by Prokofiev and a late symphony by Shostakovich, the two giants of Russian musical composition during the Soviet era. 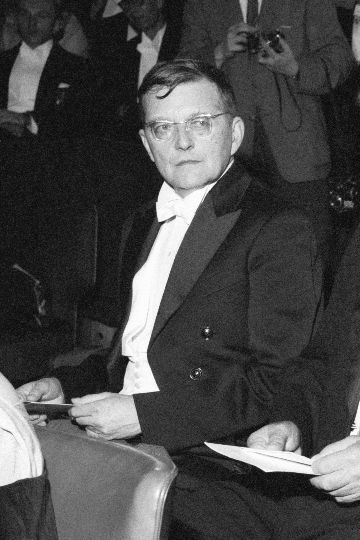 What gave the concert its importance was a rare downtown performance of Shostakovich’s Symphony No. 13 (“Babi Yar”) of 1962, a masterpiece of mid-century political and social protest amounting to a caustic critique of Stalinist society. Muti invited Shostakovich’s widow, Irina, to attend the concert. The movement that gives the 13th Symphony its name memorializes, sometimes with bitter fury, the massacre by German troops of nearly 34,000 Jews – at Babi Yar, a ravine near Kiev, Ukraine, over two days in September 1941. Yevgeny Yevtushenko’s poem attacks Russian complicity in anti-Semitism. There’s plenty more in this unsettling music to embarrass Soviet officialdom – no wonder Nikita Khrushchev sought to have the second performance delayed, and the poet later revised the text to observe that at Babi Yar Ukrainians and Russians as well as Jews – some 100,000 in all, according to the U.S. Holocaust Memorial Museum – were murdered by the Nazis. Significantly, the revisions did not alter the offending passages that imply the continuing presence of anti-Semitism in Russia. Shostakovich follows this searing lament with four other Yevtushenko settings. The second poem, “Humor,” defies tyranny with humor: It’s Shostakovich in his signature vein of sardonic mockery. The third, “In the Store,” celebrates the quiet strength of tired Russian women queuing in a shop. “Fears” recalls the ever-present terror and dread of the Stalin years. The fifth and final movement, “Career,” honors creators and discoverers (including Galileo and Tolstoy) who hold to their ideals in the face of official condemnation. This was provocative stuff for its day and so it remains more than a half-century later, even if its specific targets have receded into history. Up until this week, Muti had conducted only one Shostakovich symphony, the ever-popular No. 5, in Chicago. But the music director enjoys a unique personal connection with the Shostakovich 13th Symphony. Francesco Siciliani, the Italian artistic director who hired Muti, managed to obtain a microfilm of the suppressed score and translated it into Italian. A tape of Muti’s performance eventually fell into Shostakovich’s hands. According to Irina Shostakovich, the composer’s widow, the composer was greatly moved by Muti’s performance and by the sound of the Italian language. Several months ago she offered the tape to Muti as a gift. 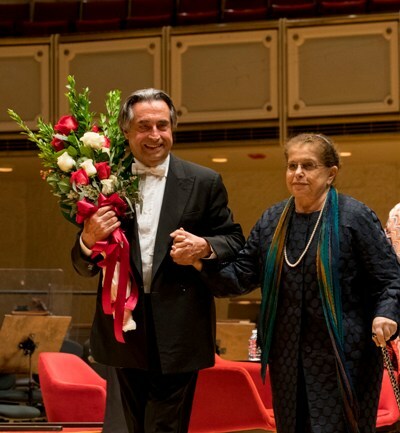 Mrs. Shostakovich, now 84, attended the Sept. 21 CSO performance at the maestro’s invitation. Seated in a center box, she joined in the long ovation that greeted Muti’s deeply affecting account, then descended to the stage for a post-concert conversation with the maestro about the work. 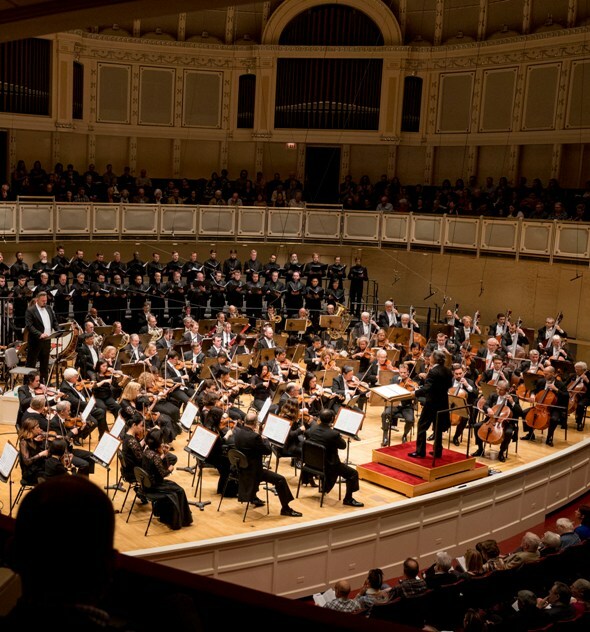 CSO performances of the “Babi Yar” Symphony I attended over the years under Gennady Rozhdestvensky (the Chicago Symphony premiere, in 1979), Georg Solti, Mstislav Rostropovich and James Conlon brought out different facets of this brave and blistering masterpiece. The fervent intensity of Muti’s belief in Shostakovich’s symphonic cantata came through in his brief spoken introduction – “Babi Yar,” he said, is “a document (of) freedom” that declares “every form of dictatorship should be banned” – as well as in the grave majesty of his performance. 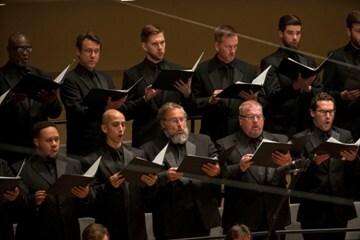 With eloquent contributions from the splendid Russian bass soloist Alexey Tikhomirov and 62 male voices from the Chicago Symphony Chorus, the work gathered expressive strength across its five movements, at times hitting the listener in the gut with the force of a clenched fist. 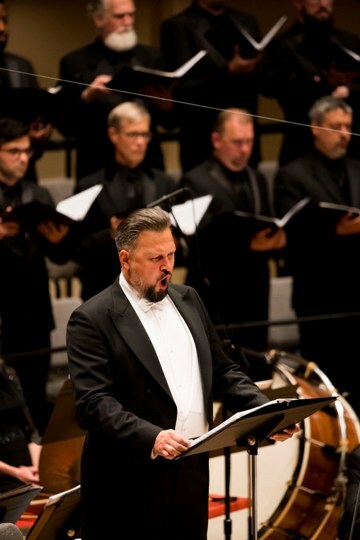 Indeed, in their extensive and integral roles, the bass soloist and director Duain Wolfe’s magnificent choral ensemble came across as a soulful surrogate of the entire Russian populace, not unlike what Mussorgsky achieved with his use of massed voices in his major operas. I was particularly taken with both the clarity and quality of the choristers’ Russian diction and their ability to darken their sound in a convincingly Slavonic manner. Tikhomirov’s declamation of the plain, syllabic vocal lines could hardly have been more eloquent in its natural feel for the musical shape and expressive weight of Yevtushenko’s words as transfigured by Shostakovich’s music. The CSO musicians gave Muti the meticulously detailed playing he asked for, not least the various solo musicians such as principal tuba Gene Pokorny, whose subterranean rumbles felt as ominous as a midnight knock on the door by one of Stalin’s KGB goons. It’s worth noting that Muti conducted one of his annual “Roads of Friendship” humanitarian concerts in a rain-drenched Kiev last July, under auspices of the Ravenna Festival. Another symphony inspired by mass murder of Jews by Nazi troops during World War II, the American composer William Schuman’s Symphony No. 9 (“The Ardeatine Caves”), will highlight CSO concerts here in February, when Muti will pair it with the Mozart Requiem. A student work that had never been performed previously by the CSO, Prokofiev’s five-movement Sinfonietta (1909, revised in 1914-15 and 1929) sounds nothing at all like the mature composer, save for the finale, where its breezy neoclassicism echoes that of his vastly superior “Classical” Symphony. The music lacks the charm and grace of that delectable chestnut and is devoid of tunes that stick in the mind. Muti did his best to inject elan into its prevailing blandness, while the orchestra disported itself crisply for him (the solo playing of William Welter, the CSO’s new principal oboe, was especially nimble), but to no avail. I doubt the Sinfonietta will resurface anytime soon. Never mind: An exceptionally gripping “Babi Yar” by Muti and the CSO makes attendance mandatory. The program will be repeated at 8 p.m. Sept. 22 and 7:30 p.m. Sept. 25 at Orchestra Hall. 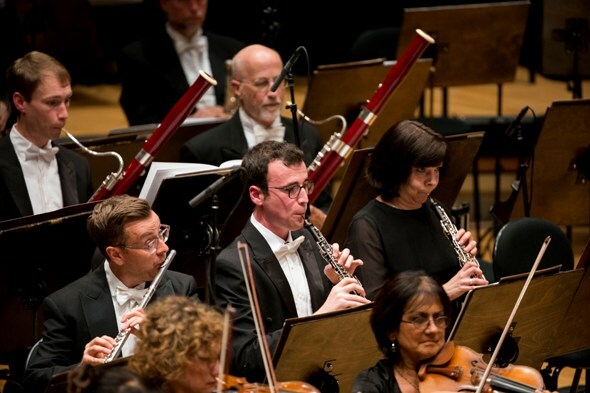 Now in the ranks, at center, is the CSO’s new principal oboe William Welter.